The first Hindu epic Ramayana contains more than 24,000 shlokas praising Lord Rama, incarnation of Lord Vishnu, his wife Sita, brothers Lakshman, Bharat, Shatrughan and many others like Hanuman, Angad etc. Ramayana is the most important religious text of the Hindus. Lord Rama's name is believed to dissolve all sins. 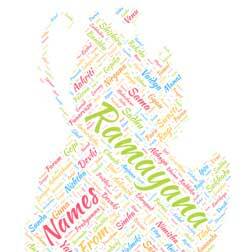 Choosing one of the many names of Rama or Sita for your child from this great epic will be truly auspicious. Several other names too have deep religious significance. 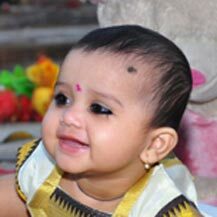 Blessings of Lord Rama will be associated with any name you pick from Ramayana as a lovely lifelong present for your little darling. 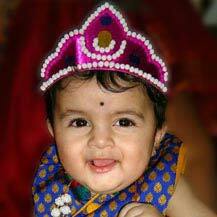 Hindu mythology is a good source of Hindu baby names. Here is list of Hindu mythological names drawn directly from Ramayana, Mahabharata, Puranas (stories older than epics) and Vedas (hymns of RigVeda).